Can you guess what links the English Civil Wars (1642–1651) between Oliver Cromwell’s ‘Roundheads’ and King Charles’s ‘Cavaliers’, Samuel Pepys’ Diary, Charles Dickens’ ‘Old Curiosity Shop’, the famous Geordie inventor Robert Stephenson, a pub in London’s Covent Garden, and the Italian clown Joe Grimaldi? Well, last night at WI we were enlightened and entertained by Professor Collywobbles, who managed to squeeze them all in to his talk on the history of Punch and Judy! To be honest I was not keen to go. Having never been that keen on this traditional seaside entertainment, I was going to give it a miss. But I am so glad I went. Now Punch and Judy shows would seem to be as British as fish and chips, but in fact we learned that they hark back to Italy’s commedia dell’arte, a type of improvised comedy based on stock characters. Punch is probably based on the character of Pulcinella, a nasty, aggressive fellow with a long, beaky nose. We were told that the first reported show was seen on May 9th 1662, and was immortalized by no less than Samuel Pepys in his diary when he wrote about seeing, “an Italian puppet play…the best that ever I saw” in Covent Garden. It was performed by an Italian puppet showman, Pietro Gimonde, known as “Signor Bologna.” But they may well have started even earlier because of Oliver Cromwell. He closed all the theatres during the Civil War apparently, so sketches with puppets or Marionettes were put on at street corners and public places. These anarchic early shows were aimed at adults but children did gather to watch them with their family. Before long, Punch and Judy shows had sprung up all over London. Judy was at that point known as Joan. We heard how, by the 19th century, thanks in part to Robert Stephenson, the railways were taking off, and people were travelling to the seaside for days out or holidays. ‘Professors’ saw the opportunity to make money from the crowds and so they began tailoring their shows for children while still retaining some adult jokes. Thus began the tradition of Punch and Judy shows at the seaside. Professor Collywobbles told us that early Punch plays would have been performed with marionettes, but as the show developed glove puppets were used. They were cheaper to make and easier to carry. Soon mobile booths were designed to carry everything in, and, covered in red and white cloth, these became the stage with the addition of a decorative proscenium arch. The man who operated the puppets was called a ‘professor’ and he often had an assistant who was called a ‘bottler’. The bottler would usually play a musical instrument, warm up the crowds, and collect money in a bottle. Sometimes a live dog, called Toby was used alongside the puppets. Punch’s screeching voice was, and still is, created with the aid of a swazzle, which sits at the back of the mouth and is pushed to the side when other characters are ‘speaking’. It is quite difficult to understand all the words Punch says so the bottler or other puppet characters often repeat his lines. I discovered that other countries have long had their own shows with the Pulcinella character. It was very popular in France. In America, George Washington is recorded as buying tickets for a puppet play featuring Punch in Pennsylvania in 1742. I read that across Europe shows might star Punch himself, or St George and the Dragon, the Spanish Don Cristobal, the German Kasper, the Turkish and Greek shadow puppet star Karagoz, the elaborately costumed French icon Polichinelle, or the pleasant-faced comic, Guignol. Nowadays, In the USA The contemporary fan can see the Sid & Nancy Punk Punch & Judy Show in Brooklyn, or on the West Coast, catch a performance of Punch & Jimmy, which is Punch “with a Gay twist”. The professor told us that in the UK, the storyline of a Punch and Judy show can be different in every performance, with stock characters ranging from crocodiles to policemen. Changing public taste and social awareness of issues like child abuse however, means that the traditional nature of the show is being adapted. ‘Unsuitable’ characters like the Devil or Pretty Polly, Punch’s mistress, are now less common, while Punch’s unacceptable habit of beating his wife and baby is often left out. There is an annual gathering of Punch showmen in the grounds of St Paul’s Church, Covent Garden. In 2012 the TV reported that Punch and Judy professors from all over the world gathered at Covent Garden for “the Big Grin”, a celebration of Punch and Judy’s 350th anniversary. They performed in front of the Punch and Judy Pub. Built in 1787, this pub was thought to be named after the puppet show performances that took place in the nearby piazza for the children of flower-sellers – Covent Garden originally being a flower market. Mr Punch ~ a violent, rude and not at all politically correct, character who solves his problems by using a ‘slapstick’ which is where the phrase ‘slapstick comedy’ comes from, plus Judy ~ his long suffering wife and the Baby. There may also be a Policeman, a Crocodile, a Skeleton and a Doctor. Often there are props like sausages. Joey ~ the clown, based on the real life Joseph Grimaldi (1778-1837) who was a tragic character and the world’s most famous clown, is a traditional character. Other characters, which used to be regular but are now only seen occasionally, include Toby the dog, Hector the horse, Pretty Polly ~ Mr Punch’s mistress; the Devil, the Beadle, the Hangman ~ known as Jack Ketch, and Mr. Scaramouch. Some characters are now only seen in historical re-enactment performances including the Servant or Minstrel, and the Blind Man. My Collywobbles told us that he rarely uses other characters including Boxers, Chinese Plate Spinners, topical figures, a trick puppet with an extending neck (the “Courtier”) and a monkey. Mr. Collywobbles certainly taught me to appreciate this art form and inspired me to go off and search the internet for more information. There is a basic plot or storyline in Punch and Judy which was actually printed in 1828. Prior to that the storylines were handed down and developed orally. But, like most good showmen, Mr. Collywobbles adapted his performance brilliantly to the audience, and kept the humour topical. Charles Dickens referred to Punch and Judy shows in several of his books to make a point or draw an analogy. Indeed in the Old Curiosity Shop he introduces a Punch puppeteer and his Bottler in the characters of Short and Codlin. They meet and travel with Little Nell and her grandfather throughout rural England revealing a lot about life on the road. All in all it was a great evening. True to the WI ethos it was inspiring and educational while being a lot of fun. 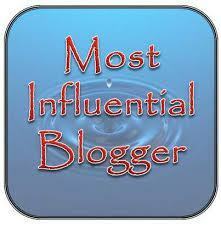 I am delighted and reinspired to have been nominated for the Influential Blogger Award by Obscured Dreamer. In fact Cat has done me a great favour as I have been somewhat overloaded by life recently, which has stopped me posting. I am often inspired to write and there have been many beautiful photo opportunities I would have loved to share. But I have been too overwhelmed to focus. So,” thank you Cat”, for the boost to my morale and the renewed drive to write. Here are the guidelines for acceptance – really very straightforward. At the moment I am busy rehearsing for two shows and a concert to commemorate the centenary of the first world war so my choice of songs is influenced by that. On Saturday I took part in the Armed Forces Day at a nearby military museum. It was a scorching hot day in the Cotswolds and young lads from all the armed forces were turned out beautifully in full uniform. They must have been so uncomfortable. There were even some international servicemen and women there as part of the Allied Rapid Reaction Corps (ARRC). The ARRC Headquarters are nearby. There was a flypast by Spitfires and a Hurricane which was very impressive. The song we sang as part of our mini show was written in 1915 as young men were marching off to fight, leaving their sweethearts at home. Our various divinity and sin. Trumpeting men, through beauty to God’s side. The other play we are rehearsing is called Carried on the Wind. It does not glorify war. It just shows how it affected the ordinary people in Gloucestershire. There are many blogs that I follow regularly for their joy, wisdom and beauty. Many expand my horizons by taking me to places I will never get a chance to visit. Others introduce me to art, poetry, music, films or books that I know nothing about. In short they enrich my life. Some of them I have mentioned below. Campari and Sofa ~ this shared blog is just so stylish, quirky and different. I love it. A View from my Summerhouse is Sherri Matthews’ blog and it is just a joy to read. On Dragonfly Wings with Buttercup Tea ~ Becca is a prolific blogger who is so gifted. She always finds a beautiful photo to accompany her posts and poems. Celebrating Sunshine ~ just beautiful thoughts and images that lift me up. Source of Inspiration ~ Pat has found her place in the world and has acquired so much knowledge which in her wisdom she is gracious enough to share. Derwent Valley Photographers ~ I love photography and I love the North East of England so this site is a pure joy. The Inscrutable Paths of the Spirit ~ such purity of thought and expression is found in this blog, it brings peace and comfort into our troubled world. Positive Boomer ~ it’s hard to argue with the sound advice on this blog! Do pop by and enjoy these inspirational, influential and just plain enjoyable Blogs! 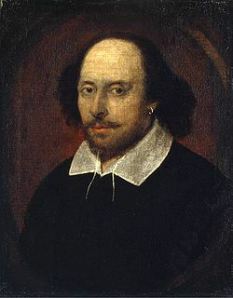 Tonight there will be the start of the celebrations in honour of William Shakespeare’s 450th Birthday. The celebrations will be spectacular in Stratford on Avon, his birthplace and the home of the Royal Shakespeare Theatre. Resurrecting an old tradition, there will be a massive firework display over the River Avon behind the theatre. The display starts at 10.40 so it will be a late night for me but I am hoping to get a good view from the bridge in the Bancroft Gardens. I used to walk this way to school every day when I was a teenager so it will bring back lots of memories. In the 1960s I was still living in Stratford on Avon studying A Levels at Shottery Manor, which was the Girl’s Grammar School. I have written a post before about the unforgettable year that was 1964 ~ Shakespeare’s quartercentenary. I was totally immersed in the Shakespeare memorial Theatre at that time and met many very interesting and exciting people. One of those who stands out for me was Rudolph Nureyev. He had only recently begun his life-changing dance partnership with Margot Fonteyn. Who could ever forget their performance of Romeo and Juliet ? It could be that he is responsible for my deep connection with the Russian culture, language, and people.